How do I change my name or email on my account? How do I change my Email on the account? Select "Edit Email or Password." Edit your password and click the blue Save button. 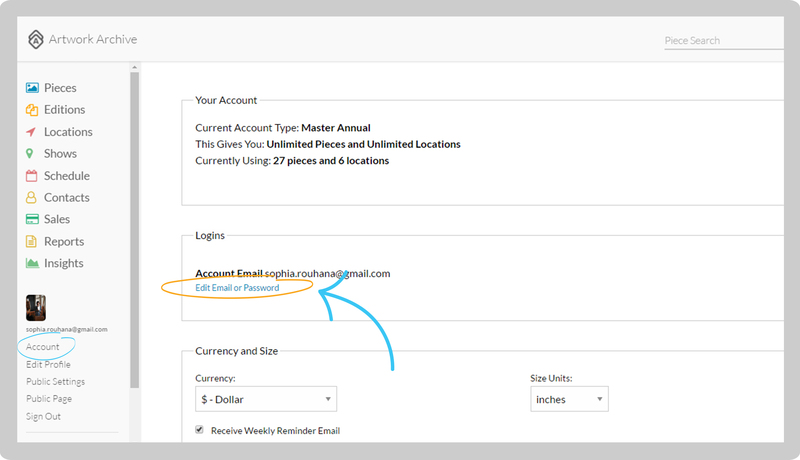 Why should I add my email and address to my Profile? The email and address you provide will be the one added to your consignment reports, inventory reports, and portfolio pages. This is the email that potential clients will also contact you through on your public profile.